Like nearly anything of consequence in this crazy world of ours, this podcast is a result of Twitter. 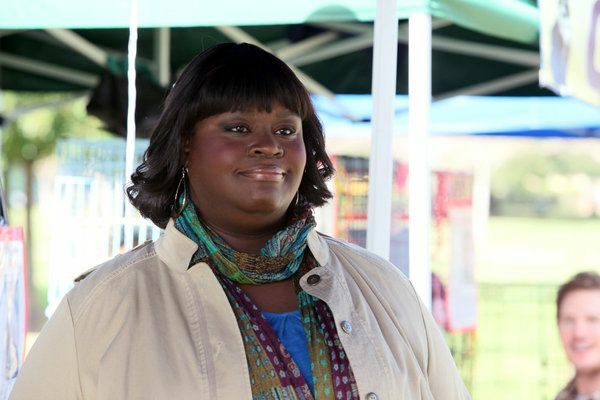 A few months ago, between setups for her role as Donna, the self-treating, Mercedes-owning man-eater of Parks and Recreation, actress and comedienne extraordinaire Retta took to the world’s most awesome/aggravating social media platform to tweet about TV. And not just any TV: all of the TV. To follow @unfoRETTAble is to gain the best couch potato buddy you’ve never had, one who reacts hilariously in real time to shows as varied as Mad Men, True Blood, and The Vampire Diaries. Earlier in the summer, when Retta launched into a profane and brilliant jag about the season finale of Game of Thrones — featuring filthy disquisitions on King Joffrey’s littlefinger — Chris Ryan and I knew we had to have her on the podcast. A few tweets later, she agreed and we were thrilled to welcome her into the Grantland studio. As delightful offscreen as she is on, Retta was an incredibly good sport, indulging our wildest theories on Breaking Bad and Chris’s undying affection for Don from The Newsroom. Warning: There are mild spoilers for the most recent seasons of all of the above shows sprinkled throughout. There is also liberal use of the word “trick.” Please enjoy and be sure to follow @unfoRETTAble. It’s a treat.